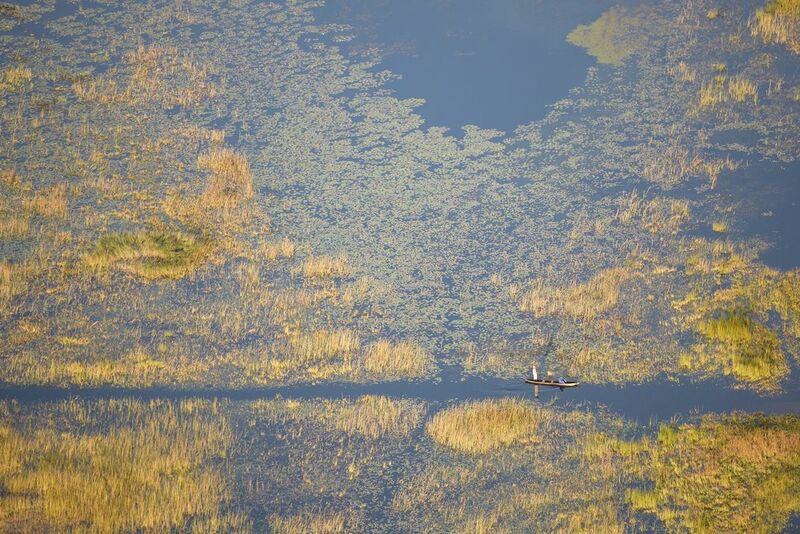 Crossing the Okavango River isn't easy - numerous hippos and crocodiles call this place home, Botswana. Aerial image (photographed from a plane at sunrise). Date Uploaded: July 17, 2018, 2:47 p.m.